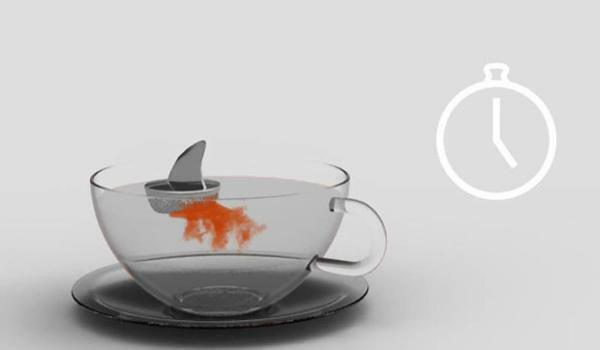 Modern tea infusers add fun to tea party table decoration and help achieve the finest brew of tea. 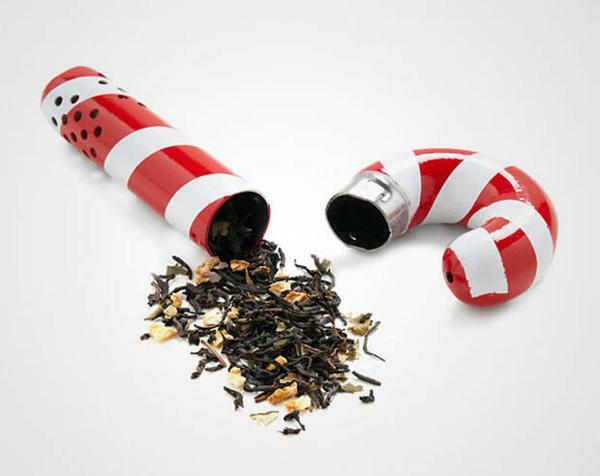 There are different types of tea infusers in traditional designs and creative styles. 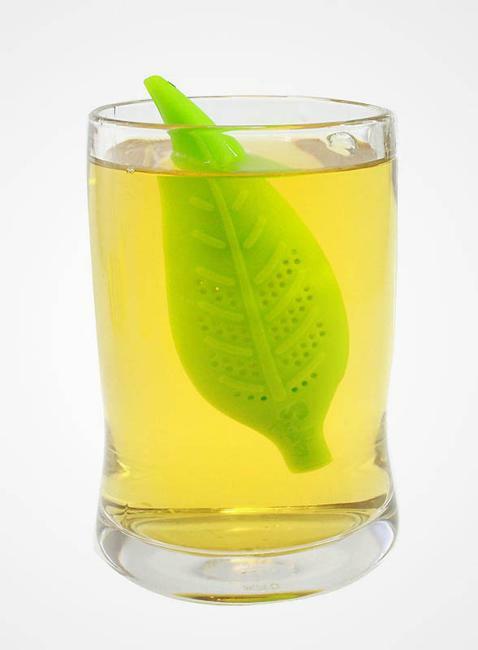 Tea infusers hold loose tea leaves while they steep. 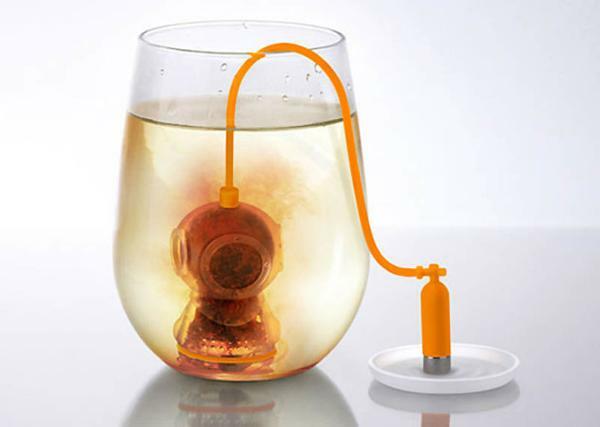 A modern tea infuser lets the tea leaves expand and steep allowing for a wonderful brew while bringing an interesting theme into tea party table decor. 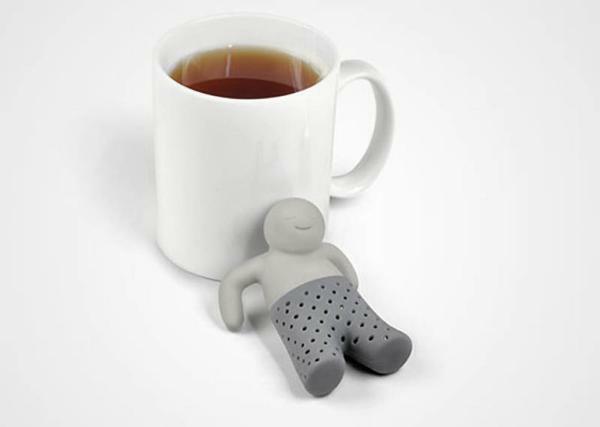 There are several options of tea infusers. 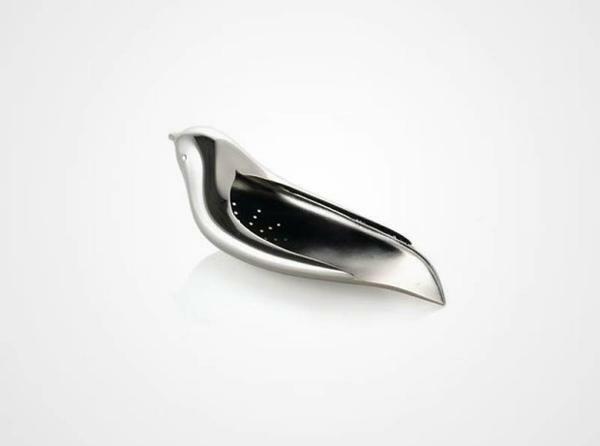 One option is a tong-like spoon with cups on either end that hold the tea leaves. 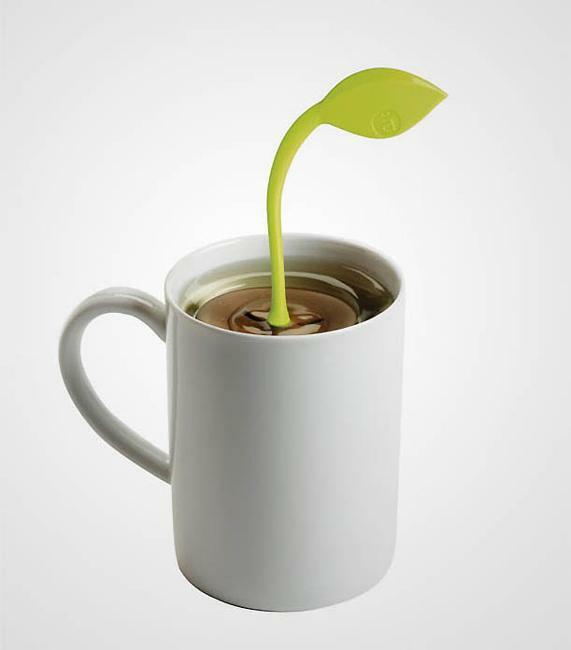 The leaves are placed into one of the cups and then the spoon is clamped together and secured shut so the leaves do not escape. 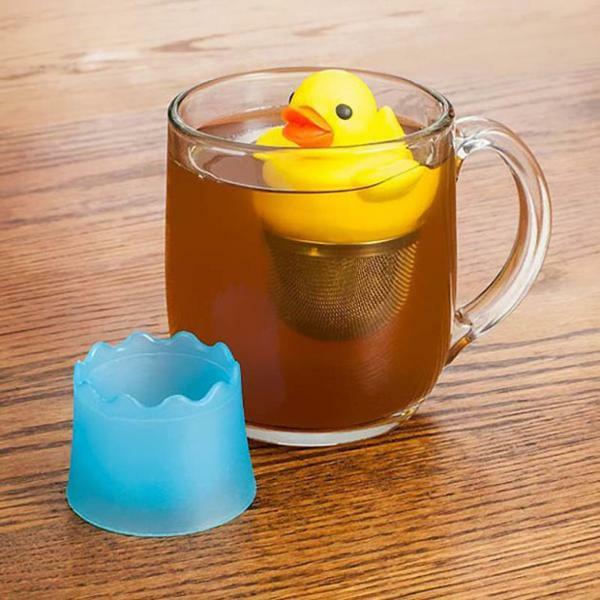 The most classic tea infuser is the tea egg or tea ball. 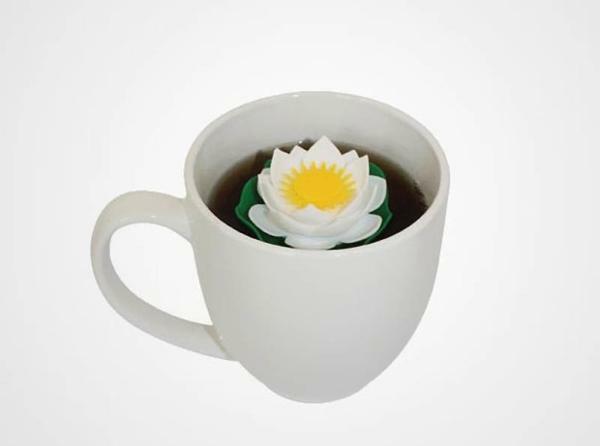 These tea infusers are round or oval in shape and comprise of two equal sides. 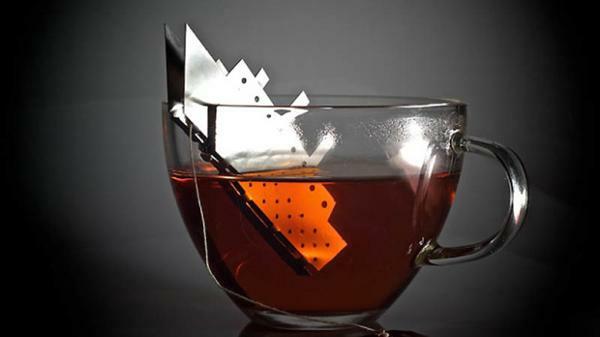 The two halves clamp together similar to the spoon tea infusers. 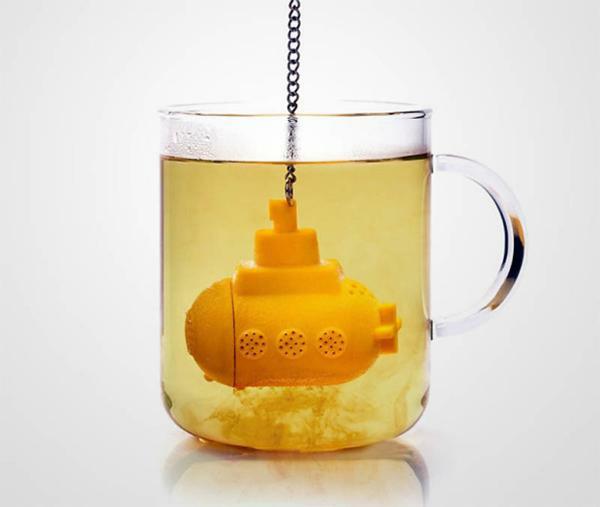 Here is a collection of creative, unusual and playful tea infuser designs. 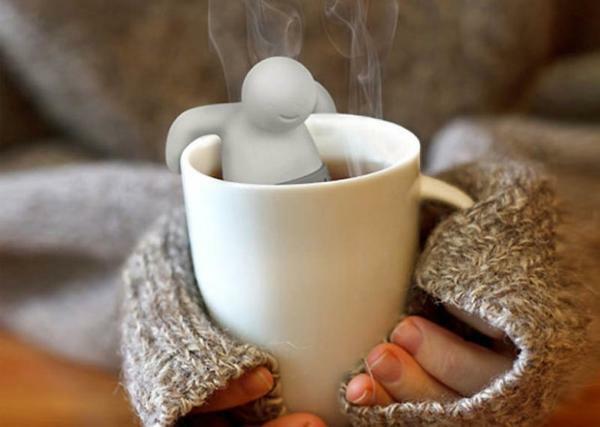 Hanging and floating, these tea infusers create a wonderful mood and personalize tea party table decoration with unique themes and characters. 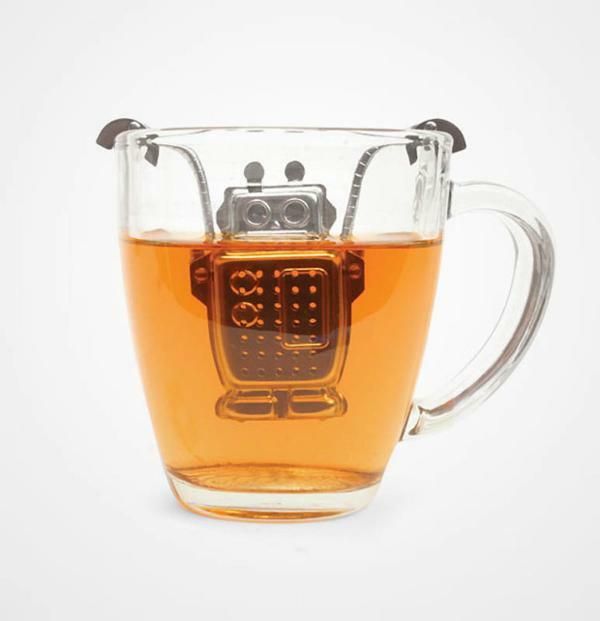 These original and innovative tea infuser designs are excellent small kitchen accessories for enjoying a cup of tea in style. 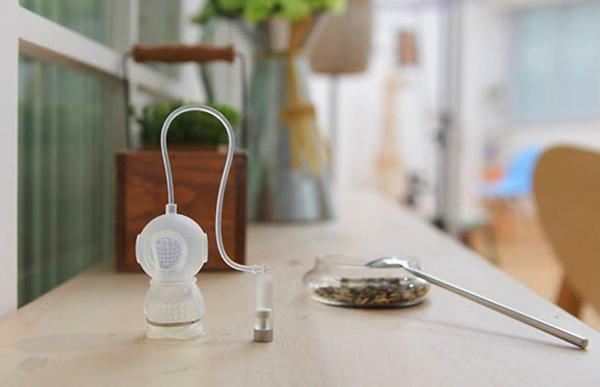 Tea infuser cups are sets that include the tea cup, infuser and lid. 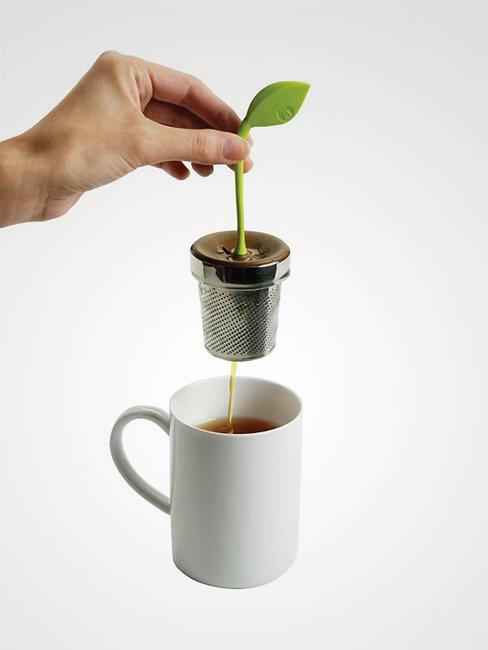 Modern tea infuser can be made of metal, ceramic, plastic and even glass and look spectacular in a tea cup. 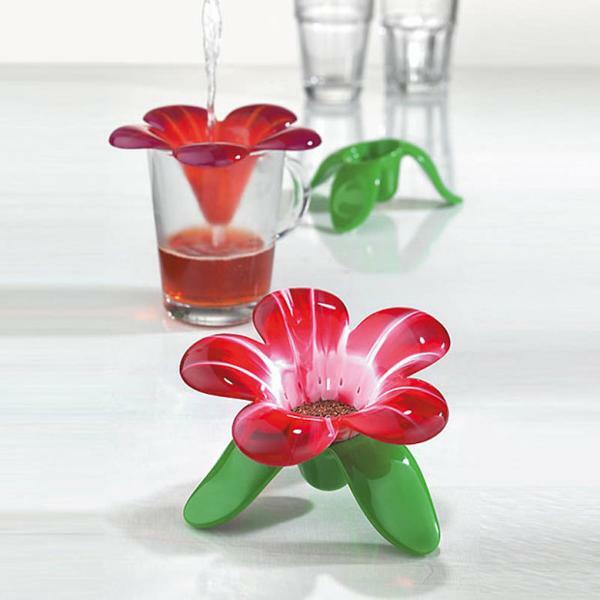 For a better brew, whimsical tea party table decoration and wonderful mood, get a few tea infusers and infuse a surprising theme into your table decoration. 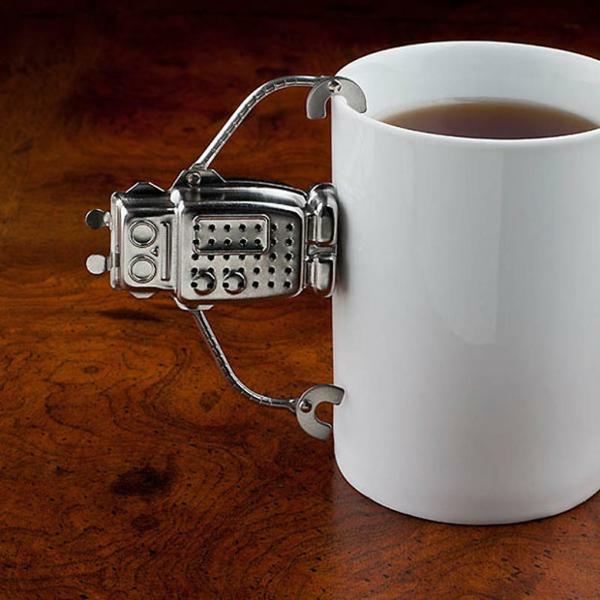 There are infuser pots available for multiple cups of tea. 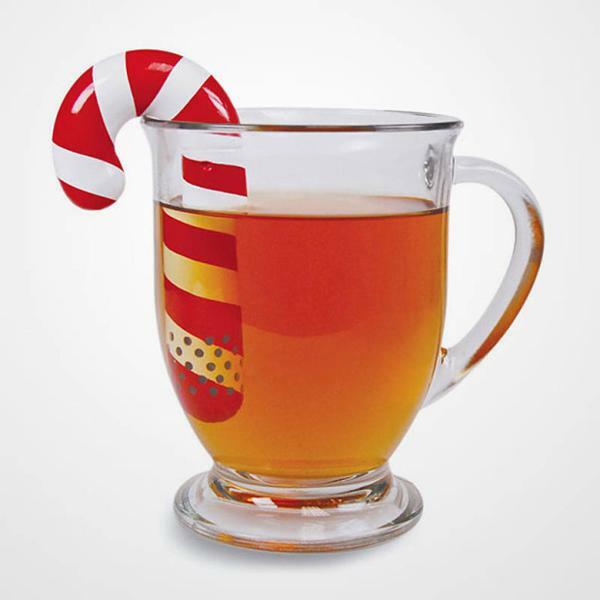 They are larger than the infuser cups and allow to brew more than one cup of tea at a time, ideal for a family or friends that appreciate the same sort of tea. 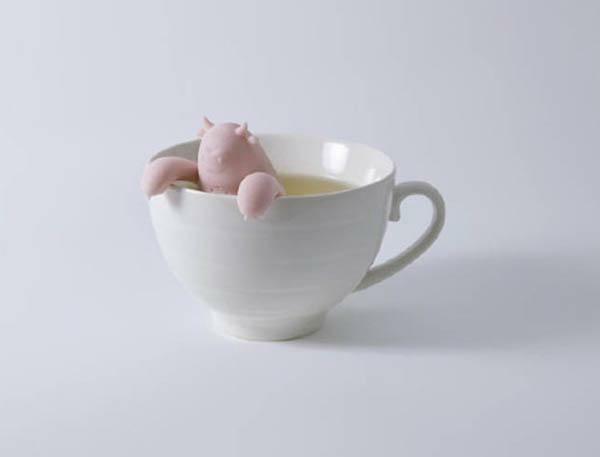 Interesting and unusual, functional and very decorating tea infusers are small kitchen accessories that are fun to have. 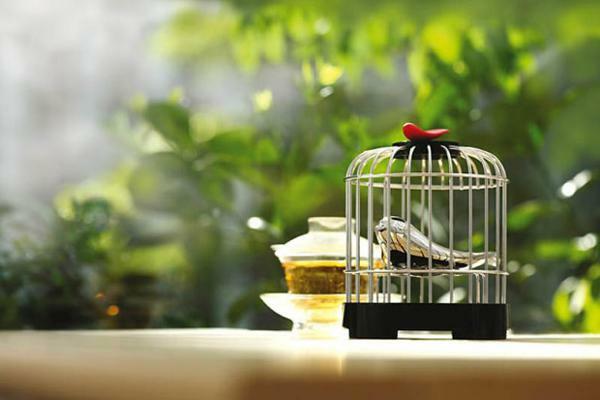 The add lovely accents to tea party table decor and make everybody smile, while helping prepare excellent tea and enjoy the process in elegant style.